Last week, Square Enix showed it was throwing all it had behind Final Fantasy XV. This is a big game and has the anime and live-action CGI spin-off to prove it. While Square Enix might seem like it’s back on sure Final Fantasy footing, it was only a few years ago things seemed anything but. In the most recent issue of Famitsu, Hajime Tabata, who’s now in charge of Final Fantasy at Square Enix, gave honest and frank insights about the challenges that Square Enix has overcome and what’s ahead. Japanese game developers, especially in Famitsu interviews, can often seem to hold back. Tabata, however, doesn’t. Final Fantasy XV was first announced back in 2006 as Final Fantasy Versus XIII and has since been reborn as Final Fantasy XV. 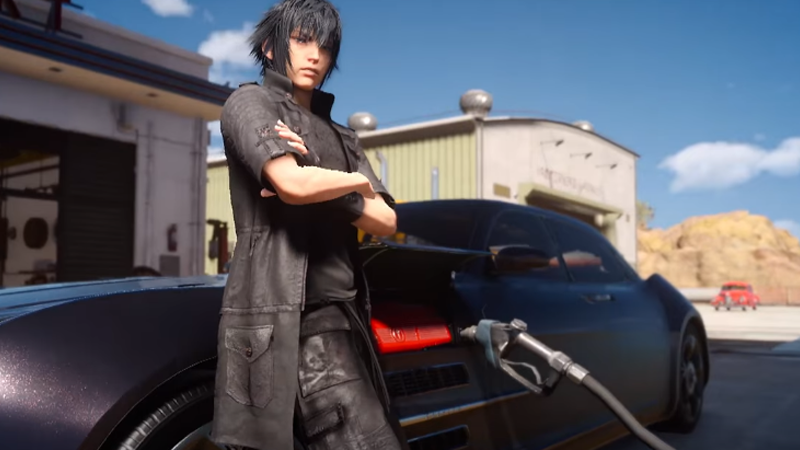 Confirming what he previously told Kotaku, Tabata said work began on FFXV in July (note: Kotaku first reported that FF Versus XIII was no more that same month, which was later proven true) however, work didn’t formally begin on FFXV until the following year. From the sound of it, what he’s done is reorganized how the teams work and brought a fresh perspective to making Final Fantasy. Tabata said that changing this was no easy task and readily admits that things aren’t easy for Final Fantasy. But Tabata hasn’t given up, neither has his team, and neither should you. Yet.